Athletes who participate in high demand sports like soccer, football, and basketball are more likely to get injured at some point in time. If you were sidelined by a sudden injury or have been in chronic pain for years, Lubbock Advanced Physical Medicine is here to help kick-start your recovery. Our Lubbock sports clinic treats a wide range of sports injuries to help athletes and active individuals get back to the feet. Your knee injury may be isolated to one specific ligament or bone, or it could be the result of years of repetitive motion, stress, or lack of support. We specialize in treating common knee injuries – from fractures and dislocations, to Patellar Tendinitis (Jumper’s Knee) and ACL tears. 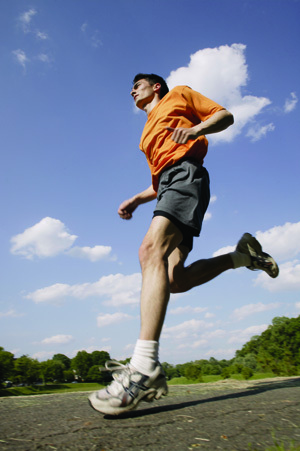 If you suddenly stop, turn, or land in the wrong position, your knee may overrotate and cause an ACL tear. Shoulder injuries are common among athletes who repeatedly throw, lift, or catch. Over time, this repetitive rotation or excessive impact can wear down the ligaments, tendons, and muscles that make up your shoulders. Falling, over-stretching, or over-rotating your shoulder may also cause a sudden, unexpected injury. Your ligaments, muscles, and tendons work together to support your bones, but when they over-stretch or tear completely, your joints need help to recover. Pain, swelling, spasms, and loss of mobility are common side effects of ligament sprains and muscle or tendon strains. Our clinic offers a range of nonsurgical treatments, including physical therapy, chiropractic medicine, and even regenerative medicine. The type of treatment will vary from patient to patient and depend on several factors, such as the severity of your injury, age, overall health, and more. Our treatments plans are designed to reduce your discomfort, prevent complications, and reverse the physical damage caused by your sports injury. If you need treatment for a sports injury in Lubbock, Texas, call us today to schedule a consultation.